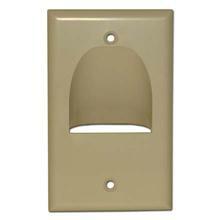 Wall plate for bundled cables. 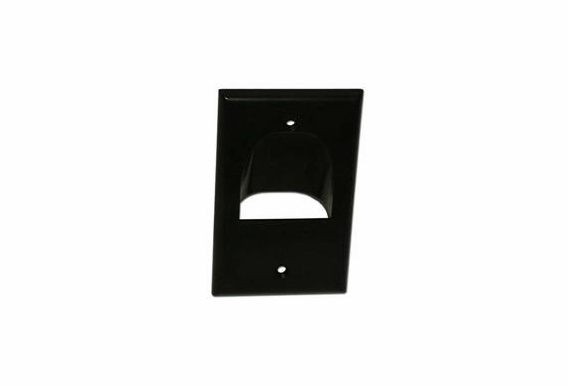 This wall plate is perfect for home theater and commercial sound applications where multiple cables are to pass through a wall, and not terminated at the plate. Perfect when pre-terminated cables, such as HDMI, component, optical and RCA audio cables are routed through the wall, or when large numbers of cables make termination at the wall plate impractical. 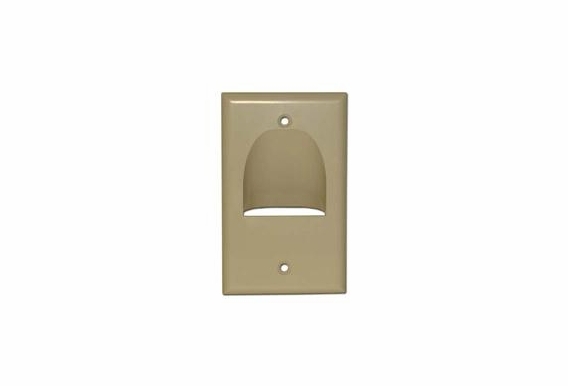 Hole diameter is approximately 2 ", and cables are angled at 90°, allowing equipment to be placed close to the wall. 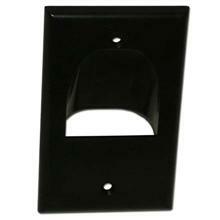 Rigid ABS plates are standard dual gang size, include matching screws.